A studio quality DIY ribbon mic kit that you can build yourself. No previous DIY experience required. Very simple assembly process and beginner-friendly step-by-step illustrated assembly manual. 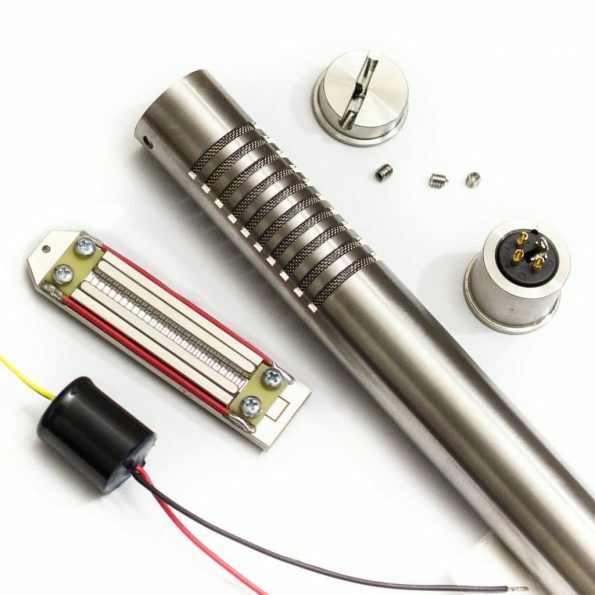 The DIY Ribbon Mic Kit motor comes pre-assembled and tuned by our experienced assembly technician. So, the most complicated work that requires specialized equipment for proper results is already done for you. The toroidal transformer is our own original design, made to couple perfectly with our ribbon motors. The main advantages of a toroidal design are the immunity to EMI and very low winding resistances. 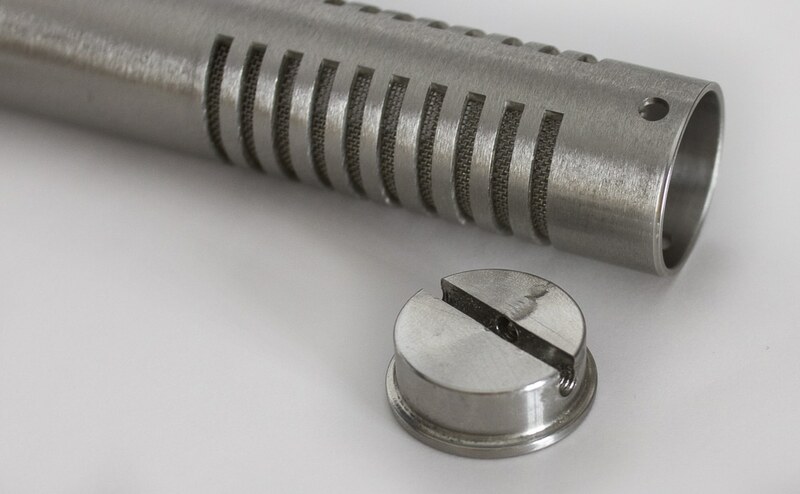 Make Your Own Premium Quality DIY Ribbon Mic! The RM-5 DIY Ribbon Mic Kit is easy enough to assemble for anyone. It has a well-illustrated and easy to understand assembly manual. You don’t need any previous audio DIY experience or electronics background. As a result you get a premium quality studio ribbon mic that can compete with some of top brand products. 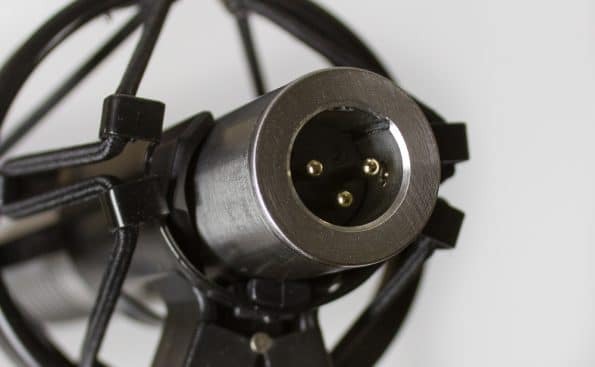 Due to their great sonic quality the kit-built RM-5 Ribbon Mics were selected as drum overheads for the whole album of the famous Cirque Du Soleil! 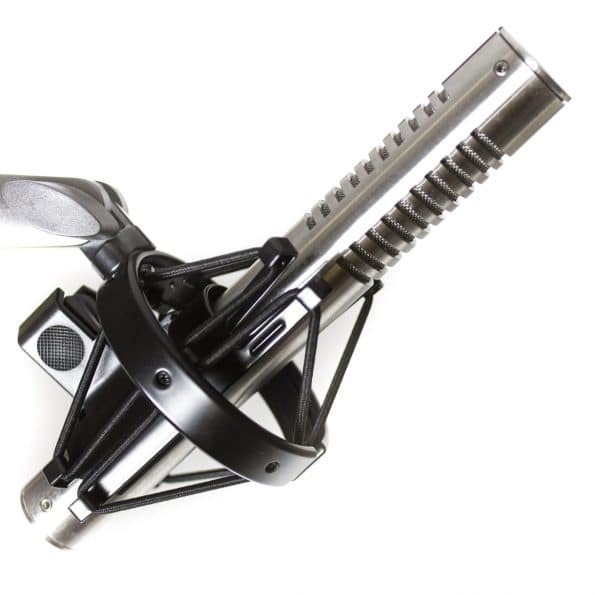 The RM-5 DIY Ribbon Mic Kit features precision machined and individually hand-tuned ribbon motor. The 2″ long ribbon is made from highest quality Japanese 2.5 micron (or 1.8 micron) thick aluminum foil. High-grade NdFeB (neodymium) magnets ensure the proper magnetic flux density. The motor comes assembled! The original toroidal transformer of our own design is included. It makes a perfect match with the motor and reveals the great presence effect. The careful design of the motor-transformer couple preserves the clarity of sound. A dedicated local company machines the bodies from hand selected stainless steel tubing of finest grades with attention to the details. The bodies are mechanically matte-polished for our signature appearance. 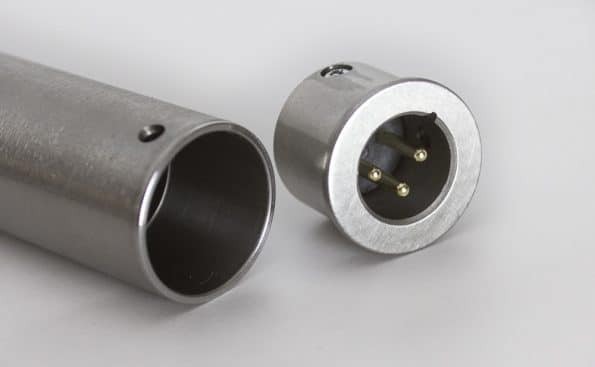 Our own original XLR receptacle is CNC carved right in the bottom cap. The male XLR insert with gold-plated pins is included. In spite of being one of the oldest technologies in microphone industry, ribbons are still one of the most lightweight membranes on market. Small mass means fast reaction and response to every smallest change in audio field around the transducer. As a result, You get perfect transient response which is the key to a secret of an outstanding presence effect that ribbon mics are well known for. Ribbons are claimed to be the most naturally sounding microphone transducer type and it is difficult to disagree once You have heart a good one in action. It can be described best as “You are there” feel. They are very smooth, flat and even sounding by their nature, so the major goal of a designer is not to spoil this natural beauty with usually unneeded sophistication. What exactly is included in RM-5 Ribbon Mic Kit? XLR insert with gold-plated pins. Check out the detailed assembly manual with every step well-described and clearly illustrated with photographs. Yes, this ribbon mic kit is easy enough to DIY for any person, even without any previous experience in electronics. We provide some relevant info here. However, our advice is to make a decision based on studying our media, rather then reading plain numbers. Of course, any questions are very welcome! Don’t hesitate – we are always happy to have a conversation about the audio! Frequency response: 35 – 14.000 Hz approx. The shockmount is not included! I built an RM-5 and an RM-6, and later got another pre-assembled RM-6 test-model from Artur. First of all, these are both good models. I have used them now combined for easily a couple hundred hours of recording time. Second, I cannot hear a difference between the pre-assembled and the kit RM-6, so I guess I did something right! But it also shows that the quality control is good enough to produce consistent products. I have not put the mics on the bench to test them, but if I can’t hear the difference, that is good enough for me. That said, the RM-5 and RM-6 do indeed sound different. Personally, I find the RM-6 to be more of an all-round mic, and have been using a blumlein pair as my standard room mics for several months. The RM-5, on the other hand, has become my go-to for acoustic upright bass. I have a lot of other ribbon mics that also sound good on upright, including the RM-6, but I keep coming back to the RM-5. It just works (about 60 cm back, just below the f-holes to allow for the swing of the bow, tilted slightly upwards). I mean, why change a good thing? Rich, mellow, nice capture of string noise and fret clatter, but without being distracting. Since I bought a pair, I used them everytime. They are excellent on guitar and bass amp, overhead, toms, acoustic guitar, acoustic piano, drum room… The sound is warm and smooth, they are not aggressive. These microphones are really awesome and really cheap! I used it my acoustic guitar: every subtlety is recorded with a fidelity I never thought I could get in my personal studio (I used it with a TLAudio VC-PA1). I also used it on drums, sound is thick and massive, it’s a cool tool for fast drums recording (I used it in front of the kit, with 2 small diaphragm mics as overheads). Finally I tried it on my electric guitar: the clean and lush sound of my Jazzmaster, through my Fender Silverface amp is just perfect: full, rich, and beautiful as the source sound itself. This mic beautifully takes comp and EQ, you really can shape the sound as if it was physical, not just data. Building the kit is rather easy but the transformer is fragile, I was afraid I damaged mine and even had to solder one of the wires. I emailed Artur Fisher, and I must say he responds really fast. He helped a lot and I know that if things had gone wrong he would have helped further. He’s a really nice guy. 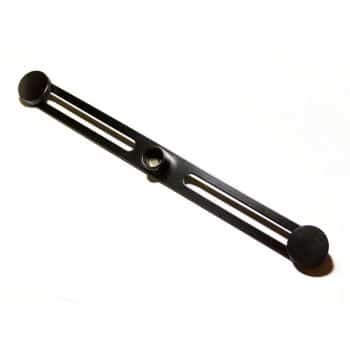 The RM-5 ribbon is an excellent and relative inexpensive way to expand your microphone collection. I get great results when using this mic on drums and trumpet/trombone, that’s why I bought a second one! Great sound, easy to build! This mic is so good that…. i bought second one! At this price – perfect! I use it on stage in front of Marshall 4×12 cabinet. The RM-5 is one hell of a mic! I have tested it with electric guitar, acoustic guitar and vocals and the sound is fantastic, with great depth and beautiful mid range. During the electric guitar sessions I had it side by side with a Royer R-121 and I have to say that all three people present (two engineers and the artist) thought both mics are at the same level of sonic quality. I could not recommend this kit any more. Artur is the nicest guy and his customer service is second to none. Oh, also, I’m in California and received my kit in only two days! Easy to build, excellent audio quality. The insulation tape on the trafo should be a little thinner to make it easier to slip into the body. Superb sound quality, but I give 4 stars because all the mounting screws is a bit loose (to thin for the holes) and there is nothing to stop them from getting in the microphone. I am very pleased with my purchase, the order has been shipped and received within about 4 days. 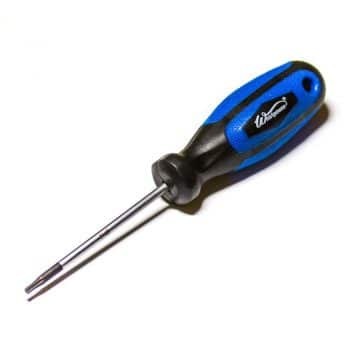 The kit is very simple and easy to assemble and solder. About the sound, this is my first ribbon microphone, but I am very pleased with the end result. This will be my new go-to microphone for acoustic guitar recording. Highly recommended. Great mic for drum overheads and guitar amps, rounds the top to a natural warmth… Those were the uses I tried! Really happy with my pair! Soon we will record another demo, I will put the mic through the paces and write about the sound qualities as well. If they are as good as the rest I expect to get another one. This is the second of this mic we have in our home studio… On everything from guitar cabinets to overheads for drums, these mics are awesome. Now that we have a pair of them – look out. I love this company. Great all the way around. Great microphone in a kit that is just ridiculous to assemble. If you can solder an XLR cable you can assemble this. If you can’t you can buy a few beers and invite a friend that can and do it together. It’s so good that this is my second pair. On first impression it may sound a little “dark” – but not dull at all – but do not fret, this mic (as most ribbon mics) can take HUGE amounts of high shelving (and other kinds of eq too) like a champ. Now excuse me, I have to put up the goggles and try one of these on snare. Kit was easy to build. Haven’t had much opportunity to use it yet, but it sounded very good when tested on a guitar cab, and also on a banjo. I put a far more expensive ribbon mic up for comparison, and while it didn’t sound the same, the RM-5 performed quite well. It sounded like there was a little more bottom end (a plus for some uses), but also a little boost at about 800 Hz (not so helpful, but not too much of an issue). I am looking forward to using the RM-5 on some recordings in the future. I’ve gathered a fine collection of microphones over the years (Neumann TLM49, an old AKG 414, Electrovoice RE20 and RE320, AKG P170 and more), but since I received the RM-5 Ribbon Mic it’s my one & only mic!!! It is so nicely balanced and adds such a warm character! I forget to put the EQ on vocals and acoustic guitars and it all sounds so awesome!!! Thanks Artur, job well done. Oh.. and the shipping was so fast! I paid on Friday at 15:00 and on Sunday 9:00 AM the mics were in my hands in Israel! The RM-5 has become one of my favorite microphones for tracking guitars. Its sound is transparent, but with a certain taste of flavor in it. 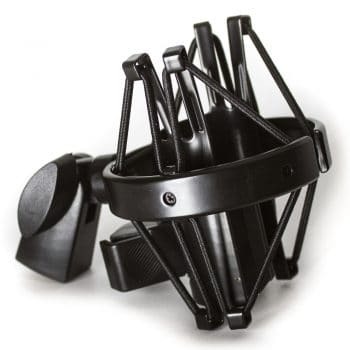 Great microphone also for backing vocals, piano or general room information. Love this mic. It’s now my main mic for guitars, just mix in a little 57 and D6 and you’ve got a great guitar sound. The kit was too easy to build. It took me about 15 minutes seriously. This is an A+ business, and he treats his customers very well! The transaction was ridiculously easy, the shipping was extremely fast, and the mic components were all packaged well. After assembly, I found I had no output, so I emailed Artur immediately. His troubleshooting assistance was fast and clear. It turns out that there was an issue with the transformer. He immediately got a replacement shipped. I received the new component, threw it in the mic, and was on my way! Like I said, I haven’t been able to put it through it’s paces, but I can tell you that the output is clear, with no distortion, or additional audio artifacts. I expect when I get a chance to put it into action, it will not disappoint. Artur is quite a stand up guy. 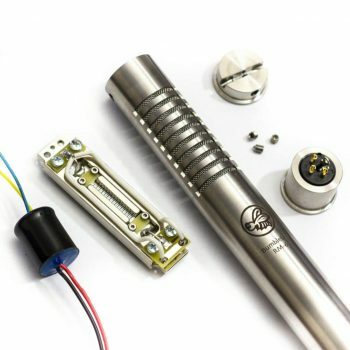 If you’re interested in DIY and looking for a ribbon mic, look no further. Grab one from Artur. Even grab a second one! I just did. The mic sounds really great on acoustic guitar and on some vocals – I have not tried it on other instruments yet but I will do so in the coming weeks. It compares very well with my Coles 4038 and that is saying something! At this price it is very well worth it! I love my ribbon mic from Artur Fisher. I recorded a baritone five minutes after the mic arrived. I had been using a Microtech Geffel UM 70 on this singer. The ribbon was delicious! All the necessary clarity was there, but with a beautiful mid range and stellar bass. I used a cloud lifter to boost the signal. Next I used it as a distant mic on a female singer and blended it with a valve condensor mic. The ribbon gave her a space to sing in. Very subtle, and very nice. Artur is a great guy who really looks after his customers. Highly recommended. It’s a really solid, fat, dark, broad, smooth, but very detailed and natural sounding microphone. I tested the mic on trumpet, which sounded creamy and warm, also on acoustic guitar and clean/overdriven electric guitar. All sounded really great. The mic can easily take a lot of dB’s. I compared the mic with a Beyerdynamic M160, which has a more higher frequency sound and an Electro Voice RE20 on trumpet, which sounded a bit flat and grainy to me. This RM5 ribbon mic has a lot of space/depth in the sound, which I like very much. The sound can breath, without picking up much room. Building the mic was exciting, especially placing the transformer and soldering the motor, but all worked out pretty nice. The manual is very clear. When testing this ribbon, a big smile was the result – and a very nice professional sounding recording. There was of course some anxiety upon reception of the parcel! The idea of building my own ribbon mike sounded as a real challenge! The kit is nicely and safely packed. Assembling the kit is very easy. The whole process took me about half an hour. The result is just fantastic! Great ribbon mike sound, accurate and dense, no noise, and the output level is fine, even when using only the preamp of my MOTU 4 Pre interface at about 75% of its power. I have tried recording my tenor sax on its own and an acoustic guitar and the results are great! I will continue using and testing the mike in the coming weeks and may purchase another one to make a pair. I definitely recommend Artur Fisher’s kit! This mic encapsulates beautiful simplicity, as all ribbons should, but few do. A superb simple and stylish body and hand crafted motor with an excellent transformer, and best of all, no pointless active electronics to mess with the pure signal coming from the ribbon. Michael Faraday himself would have loved the RM-5. Like most motors, the pronounced proximity effect can be used to thicken thin sources or tamed with distance or EQ. Perfect for guitar cabs, acoustic guitars and sources where the extended hi frequency response of a condenser mic is not required. I love this mic. Buying one is a no brainer. Thanks Artur.